This is off the charts amazing. I ate so much last night I still smell the onion on me. Well, maybe that’s not a great selling point but I just get a kick out of the fact that, hmm…10 years ago, or maybe even 5, I wouldn’t have touched this stuff with a ten foot pole. I never ate onions growing up and Don spent many nights dicing up onions so small to add flavor to dishes to gradually break me in. Over time the pieces grew larger to the point now that I just LOVE sautéed onions, big fat onion rings, big chunks of onion in my stir fry…I think you get the picture. I was busy unpacking boxes and other such just-moved-in type organizing while he was putting this together last night. But, once I tasted it, I HAD to have him re-trace his steps for me so I could share with you how to make your own. He made A LOT. 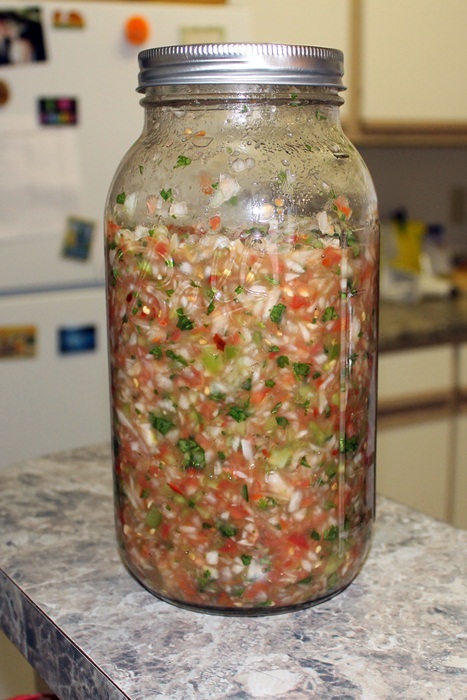 So you might consider cutting back on quantities, in less you want a huge jar of pico for a few days. Note: he doesn’t actually measure the salt, etc. so those are our best guesses to his pinch of this and big spoonful of that. Dice all the vegetables, or (like Don) use a food processor to pulse them to small pieces. 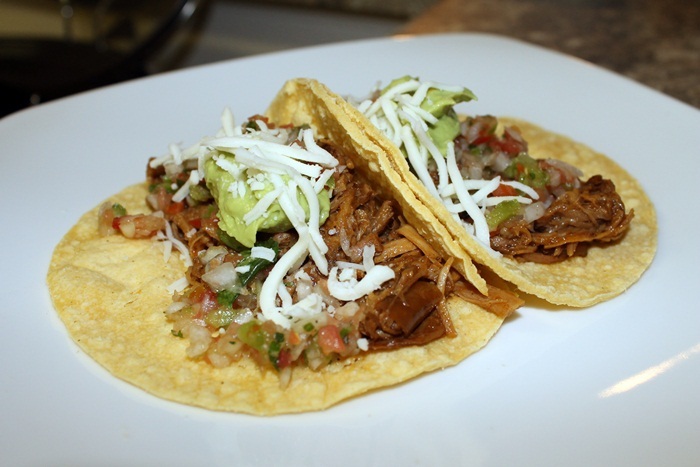 He diced the onion alone, then the tomatoes, then the peppers and cilantro together. Combine everything in a large mixing bowl and mix well. Chill in a serving dish or your storage container of choice (a mason jar works nicely) while you finish the preparation of the rest of your meal. They were so good I can’t wait to get home and have leftovers tonight!